Variant cover by Stephane Roux. 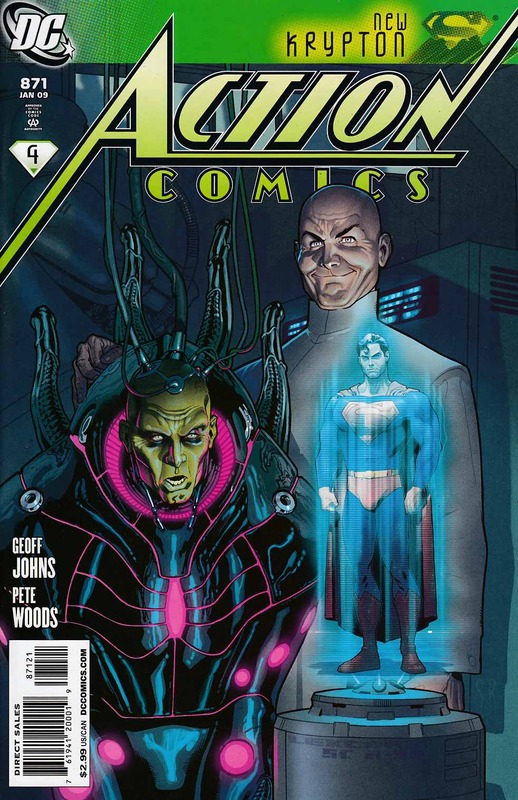 New Krypton: Part 4 of 10 - Written by Geoff Johns. Art by Pete Woods. With thousands of Kryptonians being integrated into human society, the world believes they'll be watched over and protected across the globe. But not everyone was raised by Ma and Pa Kent. Meanwhile, the experiments on Brainiac continue as his mysterious captor builds an army against the Man of Steel and his people. Plus, who are the new Nightwing and Flamebird?